Conveniently located in the colonial city of Santo Domingo, this cosy hotel offers excellent service and an intimate atmosphere for a relaxing stay after exploring the surrounding historic city. 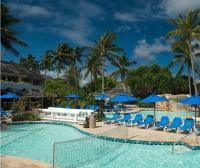 Just 100 metres from Dover Beach, South Gap Hotel has an outdoor pool and free Wi-Fi available for its guests. Located in St. Lawrence Gap district, guests will have many choices to dine and seek for entertainment in its nightclubs. Featuring an outdoor swimming pool with a deck, Emerald Ridge Guest House is just 5 minutes' drive from Dover Beach in Graeme Hall. 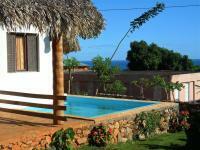 It offers well-equipped rooms and apartments with fridges and free Wi-Fi throughout. 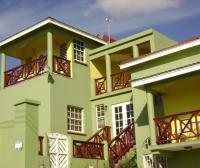 Located across from Worthing Beach on the south shore of Barbados, these modern Christ Church apartments feature maid services. Free Wi-Fi is available in every room. Located on Saint James Beach, this resort in Holetown features plantation-style rooms with a furnished balcony and an outdoor pool. Folkestone Marine Park and Museum is 400 metres away. Overlooking one of the most beautiful beaches in Playa Rincon, this ocean view property is surrounded by a stunning natural environment and provides spacious accommodations and many comforts of home. This all-inclusive family resort offering 2 à la carte and buffet restaurants and bars also has a kids club, adult activities and entertainment. Free Wi-Fi access is available. Across the street from the Caribbean Sea and minutes from the commercial center of Santo Domingo, this hotel offers an on-site casino, relaxing spa services and a nightclub.